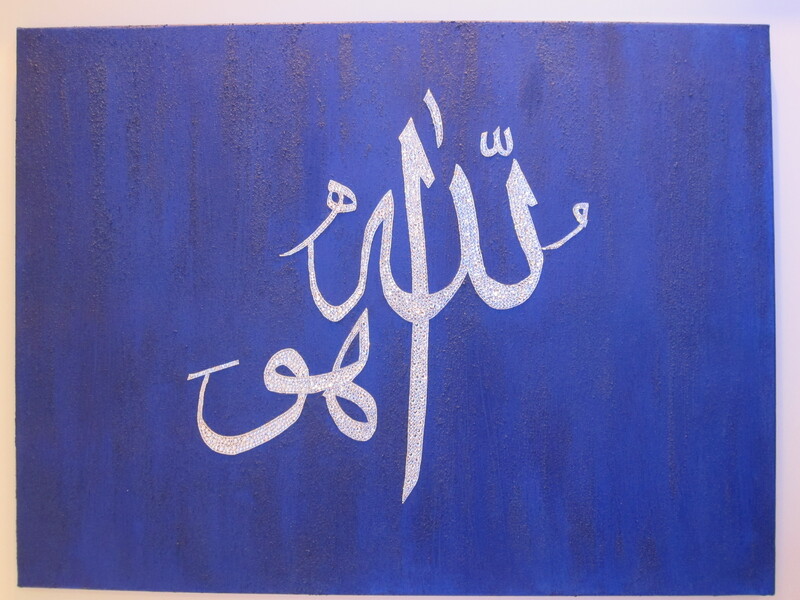 I love the curves of Arabic writing, the fluid, smooth strokes that form the words ‘Allah Hu’ or ‘God is’, words that look so complex but feel so simple and bring peace to heart and mind. Eid Mubarak to everyone who is celebrating Eid-al-Fitr after a month of fasting. I hope your day is filled with happiness, fun and thankfulness to Allah (God) for all his blessings. 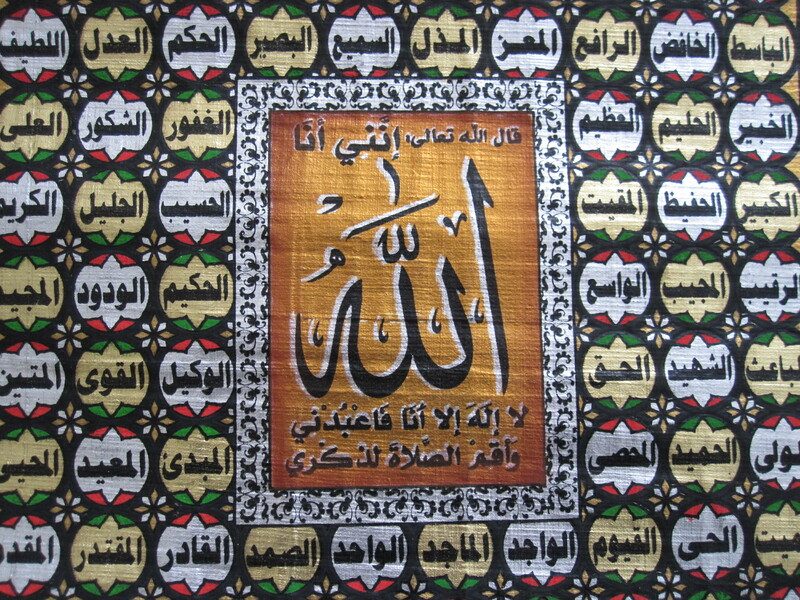 Above is the Arabic word for Allah (God) and some of his ninety-nine names, beautifully painted on papyrus paper.